The method of constructing models layer by layer based on digital 3D design data is very different from conventional, abrasive production processes. Where drills and milling cutters are limited, additive manufacturing with melted materials shows its strengths. 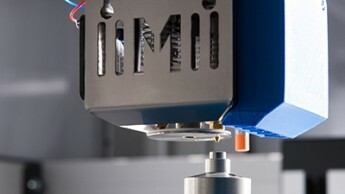 This technology is used in the construction of display and function prototypes (rapid prototyping), for the manufacture of tools such as mounting fixtures and tool moulds for die-cast and deep-drawn parts (rapid tooling) as well as in the production of components with complex geometries in individual and series production (rapid manufacturing). The innovative printers revolutionise the possibilities of precise, high-quality 3D printing and thus meet all quality and safety standards in professional industrial production. "The clean and faster multi-material printing with up to four materials is a real milestone in FDM technology." The fused deposition modelling (FDM) and fused filament fabrication (FFF) processes are very fast and cost-effective. Solid machine construction, high-quality control and an advanced printing head unit are all vital for ensuring print quality. Of course, up-to-date and user-friendly software are also important. 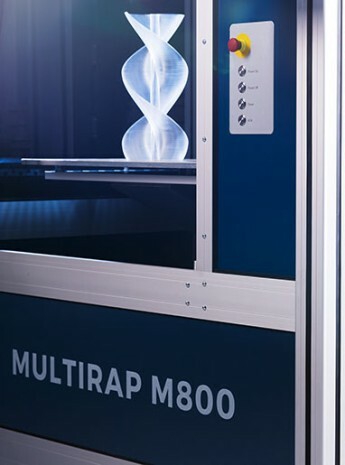 Multec 3D printers features a patented multiple print head. This enables perfect FDM printing using up to four different materials, colours and nozzle sizes. Thanks to a special automatic nozzle changer, the colours are cleanly separated for the first time, resulting in drip-free multi-material printing. This also means that follow-up work is greatly reduced. Different nozzle sizes can be combined, significantly speeding up the printing process. Large nozzles with high volume flows can print stable internal structures and small nozzles can produce a more refined surface at the same time. The patented Multex4Move printing head units are designed for industrial applications. Up to four materials or colours can be used simultaneously. Different nozzle sizes enable rapid, drip-free model construction. 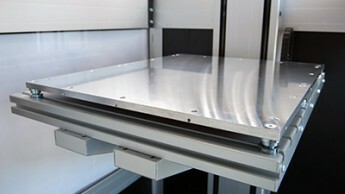 The fully automated MultiSense printing bed levelling measures and levels the printing bed, so the distance between the nozzles and the print bed on the whole X/Y plane is maintained — achieving a clean print result. Additive FDM® or FFF technology. Solid machine construction with high-quality components. Maximum design freedom when creating models. 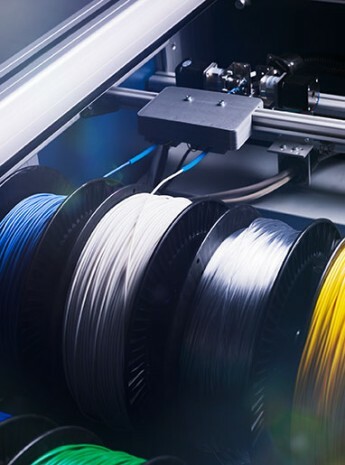 Wide range of filaments for a variety of applications. Creating complex geometries and small quantities is straightforward and cost-effective. Creating prototypes reduces the development time for new products. More efficient production and assembly processes.